Join our children’s nutritionist, Simone Emery, for a 1 hour nutrition seminar all about breakfast with fussy eaters. This will be on Saturday May 12th at 10:45am. 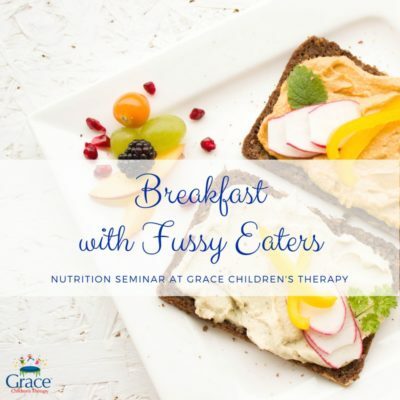 If you have completed the SOS feeding program with us (or have expressed interest in achieving feeding goals as part of your occupational therapy program), this nutrition seminar about breakfast with fussy eaters is designed to bring some elements of evidence-based feeding research (covered in the SOS program) to your breakfast table. 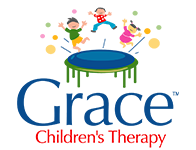 Our children’s nutritionist, Simone Emery, will be walking through how to use the SOS feeding therapy’s family meal model at breakfast with fussy eaters along with strategies to assist transitions to breakfast. This program will include information sheets (provided on the day), recipe hacks for simplifying and a method for chaining your breakfast offerings. Simone will also be doing some food demonstrations. Please let us know of any allergies or sensitivities at the time of purchase by sending us an email to info[at]graceot.com.au. Cost: $30pp (NOT covered by NDIS, private health or Medicare rebates). Pre-purchase is the only accepted payment format. Please purchase via this shopping cart. You can pay via PayPal with your credit card. PS – If you haven’t already, please check out the video about our feeding program and sign-up for our 12 tips to help with feeding children here.